An EU-funded flagship project for a CO2-reduced energy future and the decarbonization of steel production is taking shape: today, at the voestalpine site in Linz, the H2FUTURE project consortium, consisting of voestalpine, Siemens, VERBUND, and Austrian Power Grid, together with the research partners K1-MET and ECN, officially gave the go-ahead for construction of the world’s largest pilot facility for the production of “green” hydrogen. With a capacity of 6 megawatts, this is the most effective and advanced plant of its type. The partners from industry and power generation will use this facility to research into future breakthrough technologies which are needed to meet global climate goals over the long-term. The plant is scheduled to be fully operational by spring 2019. Reducing CO2 emissions by around 80 percent to 2050 is the central climate goal, and requires both energy suppliers and industry to prepare themselves and explore new pathways together. This is the role of the H2FUTURE research project. More than 600 billion cubic meters of hydrogen are used annually worldwide, more than 95 percent of which is produced via a CO2-intensive process. What will be the world’s largest and most advanced plant of its type for generating “green”, i.e. CO2-free hydrogen, will be built at the voestalpine premises in Linz. In future the EU-funded EUR 18 million project will be used to test the potential applications for green hydrogen in the various process stages of steel production, and integration into the power reserve markets for the power grid. For the industry, transport, and energy sectors, CO2-free hydrogen is an important source of energy for sector coupling and can significantly contribute to achieving the climate goals. The new plant is designed to be a technological milestone on the pathway to the energy transition, and thus to the gradual decarbonization of the steel industry. After the launch of the project at the beginning of 2017, construction of the pilot facility at the voestalpine site in Linz has now accelerated. The foundations are in place and construction of the hall is currently underway. The core electrolysis components will be delivered during the summer, with the plant going live within a year. The start of the comprehensive two-year test program is planned for spring 2019. Construction of the new pilot plant for the production of CO2-free hydrogen is taking us a step further towards the long-term realization of a technology transformation in the steel industry. The goal is to research real breakthrough technologies which will be applicable on an industrial scale in the next couple of decades. The vision of the technology and capital goods group is to move away from coal and coke via bridging technologies based on natural gas, as is already the case at the direct reduction plant in Texas, and finally on to the greatest possible use of green hydrogen. The prerequisite is the provision of sufficient energy from renewable sources and at competitive prices. At the core of the plant beats a high-tech heart from Siemens. 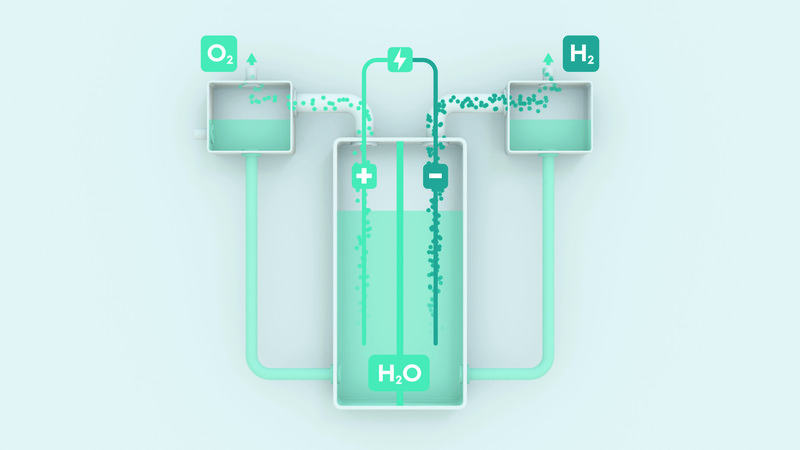 Using green electrons we split water into its constituent parts, hydrogen and oxygen. 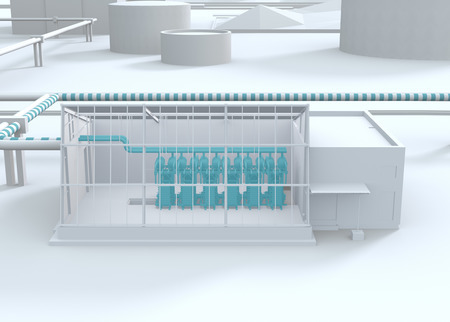 Siemens has developed what is currently the world’s largest PEM (proton exchange membrane) electrolyser module for the research facility in Linz. 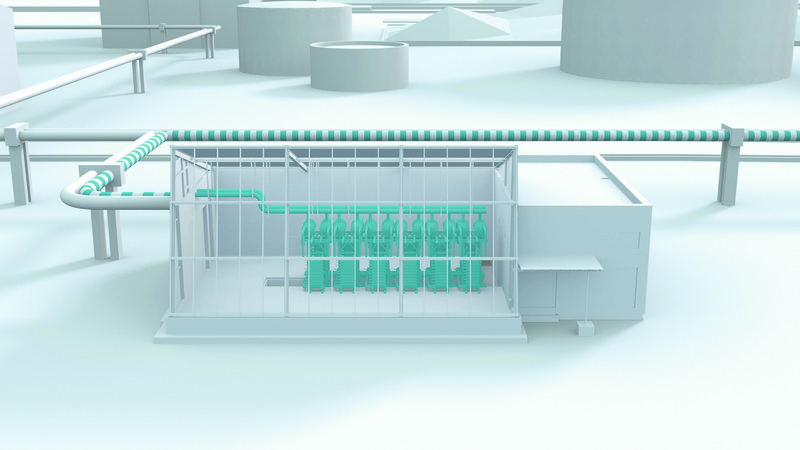 With a capacity of 6 megawatts, the plant will be able to produce 1,200 cubic meters of “green” hydrogen an hour. The goal is to achieve a record output efficiency of 80 percent in converting electricity into hydrogen. The hydrogen can be stored for use in a multitude of applications: as a raw material in the industry, as seen in Linz, but also as a fuel for mobility and as an energy carrier in electricity and gas supply. “Siemens’ DNA is clean energy: from generation and distribution to application. Efficient technologies are a key element in curbing climate change with its dramatic consequences,” Hesoun explains. Global demand for hydrogen will increase tenfold by 2050, to around 6 trillion cubic meters. Plants such as the one in Linz are the prerequisite for meeting this growing demand in an almost CO2-neutral manner. 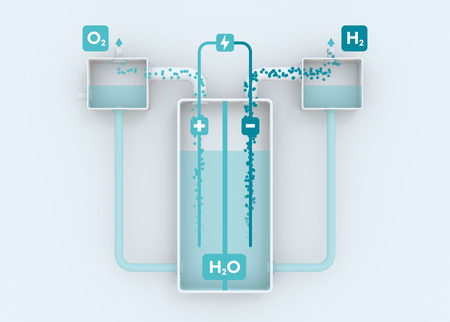 Only when water is electrolyzed using electricity from renewable sources can “green” hydrogen be produced. With its 128 hydropower plants, VERBUND, Austria’s largest electricity company and a leading European hydropower electricity producer, generates almost 100% of its electricity from renewable sources. To integrate the volatile renewable energy from wind and solar power into the energy system, we will need even more storage capabilities in future. In addition to our pumped-storage plants in the Alps, and battery storage solutions of various dimensions, we see huge potential in energy storage with green hydrogen. For us, “green” hydrogen is the perfect example of the sector coupling which is urgently required for decarbonizing power generation, industry, and transport. VERBUND will supply electricity generated from renewables for the H2FUTURE project, and is also responsible for the development of grid-relevant services. Using demand side management, the PEM electrolyser functions as a dynamic, normal load component, helping to compensate for fluctuations in an increasingly volatile power supply. The project volume for the new plant amounts to around EUR 18 million for six consortium partners over a project period of 4.5 years. Around EUR 12 million of this is funding from the European Commission, specifically from the Fuel Cells and Hydrogen Joint Undertaking (FCH JU). The H2FUTURE project is one of the FCH JU flagship projects, and financed from the EU Horizon2020 program. It demonstrates that greening large industry, such as steelmaking, is feasible and is a viable option in the near future. Moreover, this project successfully shows sector coupling. Both these aspects are vital in proving that hydrogen is an important piece of the puzzle in achieving European climate goals. In its business segments, voestalpine is a globally leading technology and capital goods group with a unique combination of materials and processing expertise. This global Group comprises about 500 Group companies and locations in more than 50 countries on all five continents. It has been listed on the Vienna Stock Exchange since 1995. With its top-quality products and system solutions using steel and other metals, the voestalpine Group is one of the leading partners of the automotive and consumer goods industries in Europe as well as the aerospace and oil & natural gas industries worldwide. voestalpine is also the world market leader in turnout technology, special rails, tool steel, and special sections. In the business year 2016/17, the Group generated revenue of EUR 11.3 billion, with an operating result (EBITDA) of EUR 1.54 billion; it had about 50,000 employees worldwide.